Had a great weekend at the Warrington GT, played 6 tough games against 6 fun opponents, but man it was hard. I had read before that this was one of the most competitive tournaments in the UK, and I can see why. It seemed like about a third of the field had played in the ETC at one time or another, and the lists were just brutal (I played a 3 Wraithknight list, and a 9 Broadside one … neither of which went well!). Still, didn’t play any idiots and had 6 fun games. When the dust settled I went 3-0-3 and came 27th out of (I think) about 50 people … what can I say – mid table obscurity! I was nominated for best painted however, and I came 3rd on player voting, which was pleasing. Usual format, (very) brief bat reps, and some general thoughts. Well it's submitted now, so here it is for what it's worth. 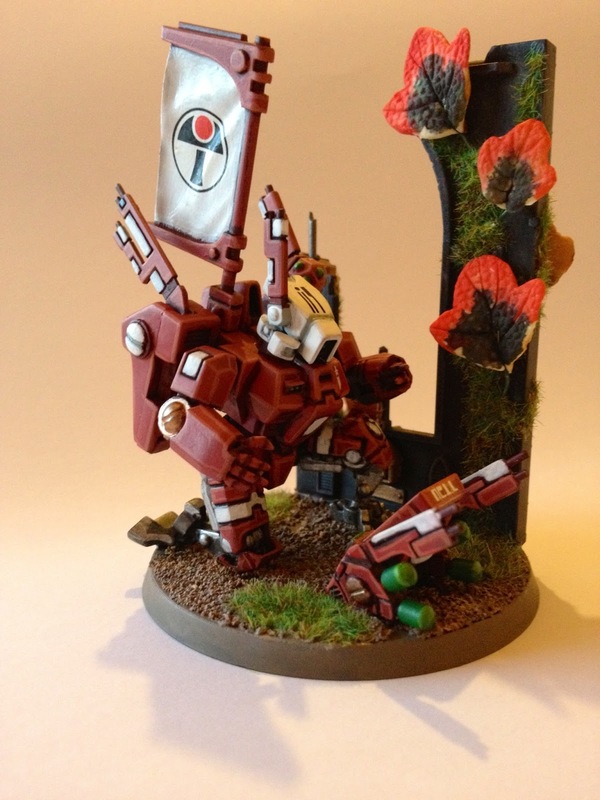 I’ve decided not to change my list radically to deal with “Tau Hunters” e.g. Tzeentch Screamer Stars, Seer Councils etc. The more racial options I came up with (Grey Knight Allies, with Coteaz and a Vindicare) seemed too extreme. I think they weakened my list too much, and I really wasn’t going to have time to practise with it.